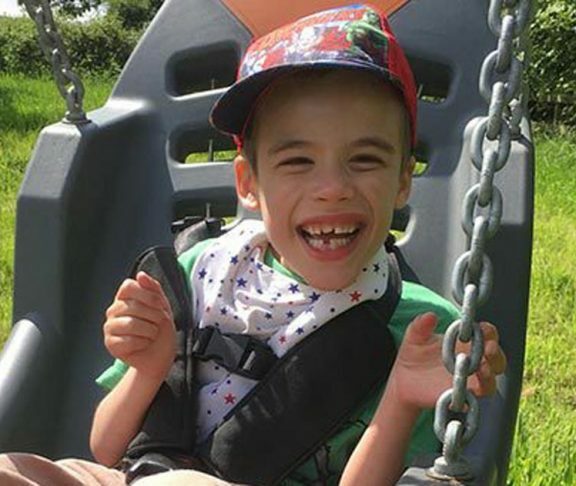 ‘A devastating brain bleed caused by NAIT (Neonatal Alloimmune Thrombocytopenia) while still in the womb, left my son with lifelong disabilities,’ explains Gillian Magee. At 35 weeks pregnant, I was in a car accident and admitted to hospital. An ultrasound scan on my unborn baby found extensive bleeding on his brain. An emergency caesarean section was performed and Archie was born. He had black eyes and was covered in bruises. He had a platelet count of only 9k. A normal human platelet count is between 150-450,000/microlitre. Platelets are essential for healing when severe trauma is caused. They allow blood to clot, rather than bleeding endlessly and causing permanent damage. We were told he would never walk or talk and prognosis was guarded. Subsequent testing of mine and my husband’s blood identified a mismatch between our platelets and a diagnosis of NAIT was given. My body had formed antibodies against Archie’s platelets and destroyed them. The following day, we were told the extent of Archie’s brain damage. Around 75 per cent of his brain had been destroyed. We were told he would never walk or talk and prognosis was guarded. Archie spent a month in hospital having treatment to stabilise his platelet levels. Any future pregnancies for us would have a 50 per cent chance of NAIT re-occurring but treatment to prevent this was available. Screening for NAIT should be standard and routine. Archie is eight now and severely disabled. He has cerebral palsy, visual impairment, epilepsy, learning disabilities and challenging behaviour. He attends a special school, is tube fed and uses a wheelchair. 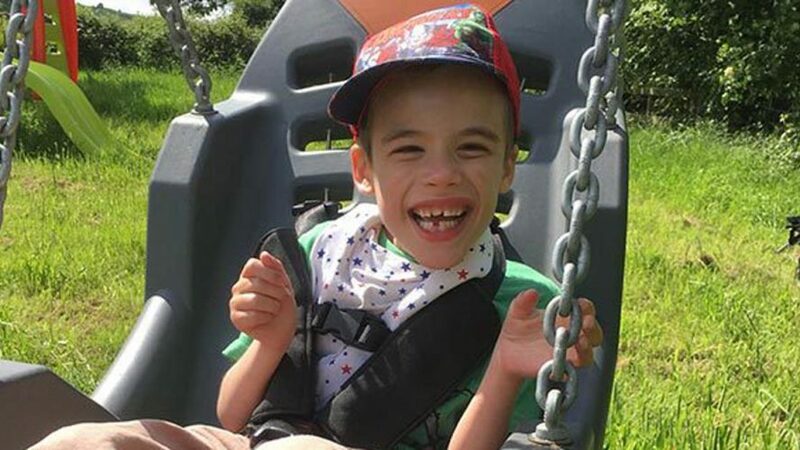 Despite his disabilities, Archie loves life, has an amazing sense of humour and character. He has good understanding, a brilliant memory, can say a few words and can mobilise in his walking frame. Thanks to the advice and support of the charity, naitbabies.org, we decided to have another child. An amniocentesis determined that our unborn daughter also had NAIT. Treatment began at 12 weeks of pregnancy and involved weekly transfusions of immunoglobulin and steroids. Essie was born by planned C-section at 34 weeks. She had a platelet count of 84k. Her platelet level bounced up to normal levels without treatment and she is now a happy, healthy five year old.